As promised last week, I am hosting talented fellow Abingdon Writer Marissa de Luna as she celebrates her recently published second novel, 'The Bittersweet Vine'. Continuing her blog tour, Marissa reveals her tips for keeping your novel full of interesting detail and description so that your characters become more developed and your scene setting sparkles. Take it away, Marissa!! Not long ago I read in interesting article by Dona Levin on what she calls incorporating ‘Killer-Diller’ details in to your novel in order to bring your characters to life. One of her suggestions is to keep a little journal so that you can write down interesting descriptions as you come across them. I have tried this and it is immensely useful. I must have started doing this in winter because the other day when I was trawling through my notebook, most of my references were to ice and snow. But now as we are in the tail end of summer when I want to write a wintery scene and all I can see outside is glorious sunshine or miserable rain, I can just dip into my ‘observations’ book and find some wintery inspiration. Before I started writing, I have to admit, I had the observational skills of a bat. I was useless but now I have started writing I am more observant. Now I walk around observing different aspects of people, their habits, and their mannerisms. I take a twitch from one person, a dimple from the other and make characters that come alive on the page. But why are writers so hell bent on the detail? It’s simple. It is our job, as writers, to create a reality in fiction. The only way we can successfully do this is by describing scenes and characters that ring true. And this is where the detail comes in. So here are my top tips for honing those observational skills and using those annotations in your writing. Keep a journal in your bag/on your desk at all times. You never know when you will observe something of note. Divide the book up into vocabulary, personal detail, nature, rooms and objects. If you don’t do this, it’s going to be hard finding that description when you are looking for something in particular. Set yourself a goal of how many details you want to put in your journal everyday. My goal is three a day. In reality, I barely manage three a week. I have to remind myself to observe like I remind myself to drink 8 glasses of water a day. Like water, this exercise is good for you. Stick a post-it note on your desk prompting you to do this. When you get a moment to yourself, instead of checking your social media on your smart phone, have a flick through your little book of descriptions. It might provide inspiration for a new scene or provide that all-important detail for one of your characters. Another great way to hone your description/observation skills is to take a journal and go somewhere like a garden or a park. Then describe what is closest to you. What can you see 1) Near your feet - say 1 meter around you. Describe it all - take five minutes to do this. 2) Then describe everything within 6 metres – keep increasing your vision. 3) Then describe what you can’t see. Behind the line of your vision. Go crazy – be imaginative. And remember all the other senses as well. It’s not all about sight! In the best books, description will get all the senses going. Smell a flower and describe how its smells. How do you feel when you smell that flower? Describe emotions and feelings brought about by that smell. Your characters may use it someday. And not just flowers. You'll have to describe malodourous smells too. New tarmac being rolled out, for example. Petrol stations, butchers – wherever you go – have a sniff and describe it. Smells evoke feelings and memories and have a great effect if they are successfully described in novels. Textures… It’s all about the texture! Touch some fabric and objects around you - what do they feel like? Jot it down! Taste - give your taste buds an explosion. Write about foods with a flavour that will ignite your reader’s senses. Make them want to Google the foods you talk about just so they can go out and try it. I always think if your reader searches on-line for something in your book it’s a successful novel as you are really engaging them! So, how do you use this detail to its full potential? I believe you can really crystalize what you are trying to describe in a few words. Cut the waffle and mix a little show and tell to create the perfect scene. For example, if you are talking about how cold it is you could talk about the crunch under foot from the leaves, the pavements sparkling with frost, the cobwebs on the traffic lights frozen like silly string, the fog thick and oppressive covering the town like a blanket. Those are just a couple of my observations from the weather earlier this year from my little notebook. Using your ‘observations book’ you will be able to describe things with fewer words and with such clarity that your books will be simple to read. Which leads me on to having a vocabulary section in your notebook as well. Call it your own little thesaurus. For example, there are several ways to say someone sat down on a sofa. They could slump, lower themselves, fall into. If you are like me, when you write you just want to get the story out. But when you are editing there is no harm in reading your description/observation book intermittently, just for a bit of inspiration or to change a few words around here and there. As writers, we are lucky. We are surrounded by inspiration and experience and it’s free! We just have to know how to use it. Thanks for the great tips Marissa! Marissa de Luna is an author with a passion for adventure and travel. 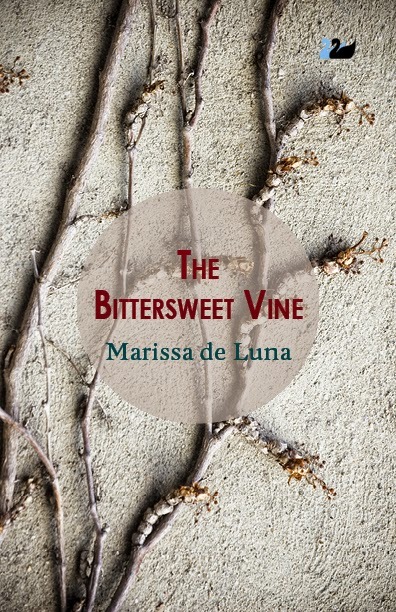 'The Bittersweet Vine' is her second novel. 'The Bittersweet Vine' is available now. The Bittersweet Vine (ISBN: 978-0-85728-094-7, Thames River Press, paperback and e-book) at Amazon or other on-line stores and in selected bookshops.